Since communism collapsed we have witnessed the emergence of numerous political actors - neopopulists, neoliberals, fundamentalists, nationalists, and others - who share one ideological leitmotif: their deep contempt for modern democratic politics. The book asks an old question: What is politics? 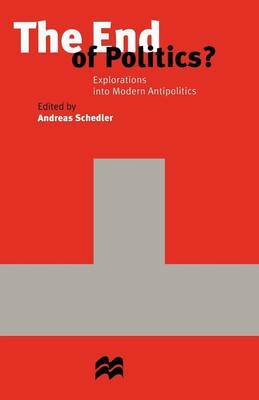 And it adds a new one to the agenda of social sciences: What is antipolitics? Some authors trace antipolitical traditions in Western political thought, while others analyze the rhetoric of contemporary antipolitical actors in the US, the former Soviet Union, and South America. The book contains contributions from Charles H. Fairbanks Jr, Barry Hindess, Erwin A. Jaffe, Norbert Lechner, Jose Nun, Louis Pauly, Andreas Schedler, and Gershon Weiler.